Great Bodies for Great cars !!! Turn your buggy in a street car or rally car or Short Course truck or Dakar truck has never been so easy . . . .
Superior Race Buggy bodies !!! Turn your buggy in a war machine ! 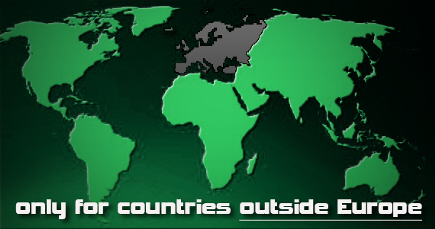 Chosen worldwide by the best drivers…. The most innovative 1:8 Race Buggy bodies !!! First 1:8 bodies with real and functional air intakes to improve internal cooling…. 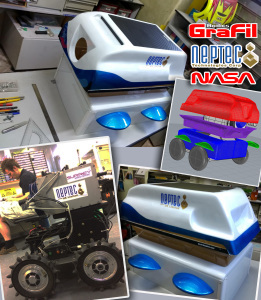 GraFil goes beyond the planet Earth !!! We are proud to announce that we have created a protective shell for the aerospace industry for an explorer rover for other planets !!! 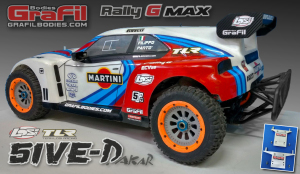 Rally G-MAX on 5ive T to race in the Dakar!!! Another special combo with G-MAX kit (with stock wheels) to switch to 5ive-D … only by mounting the G-MAX kit without stock cage by using only our heavy duty alloy mounting towers! 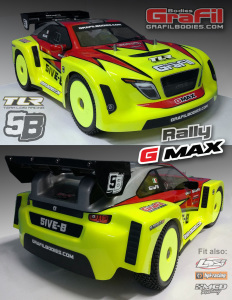 Rally G-MAX now available for TLR 5B!!! It comes without rear wing (you can use the 5B wing) – to best fit you need axle extenders. 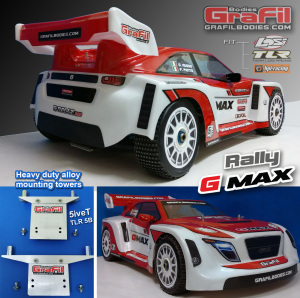 G-Rally body becomes bigger and more beautiful!!! … to fit perfectly on LOSI 5T/5B also . . . Choose the G side of the FORCE !!! … with our 1:8 design applied to the TLR 5ive-B ! 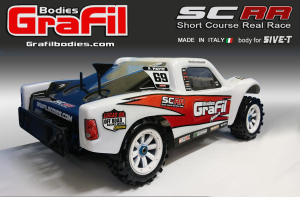 ORDER available on our Web-Shop for our new SCRR, G-Charon and G-Pantox race bodies !!! Our philosophy is to consider the Body not a simple cover but an essential element of the model and for this reason we are always seeking maximum performances in aerodynamics, strength, cooling, aesthetics. 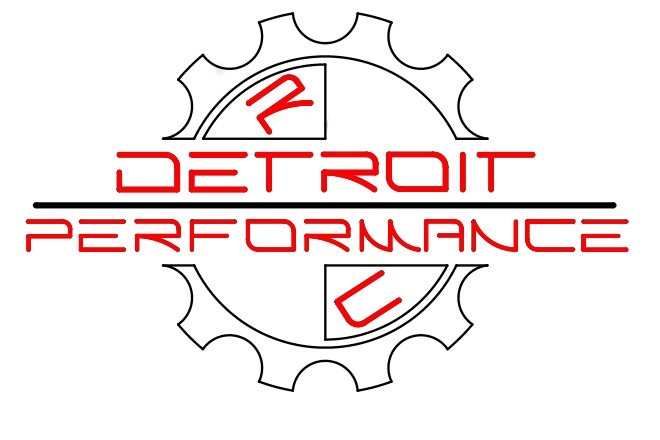 Drive the most efficient and innovative bodies on the market today !!!! . . .